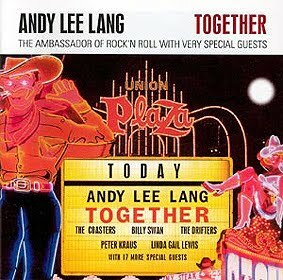 The Real Thing - Music Not Muzak! 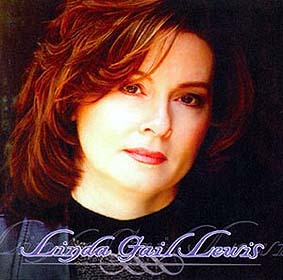 Linda Gail Lewis is much more than just the younger sister of Jerry Lee Lewis: a talented singer, songwriter & musician in her own right, she has recorded & toured with such musicians as Van Morrison, James Burton, Billy Bremner, Chas & Dave, Kenneth Lovelace (Jerry's band leader since 1967 & one-time husband of Linda), Travis Wammack, Scotty Moore, Stuart Coleman, Albert Lee, Stephen Ackles & Andy Lee Lang, as well as her brother of course, & her talented daughters MaryJean & Annie. To celebrate a remarkable 50 years since Linda’s first recordings, Pierre Pennone & myself have compiled a full sessionography of Linda’s many sessions both issued & unissued over the years, as well as a discography. 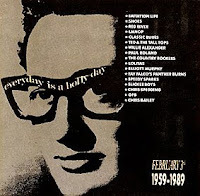 None of these would’ve been possible without Bo Berglind’s pioneering research in ‘Fire-Ball Mail’ in 1975, Mark Potter’s exhaustive (though several years out of date) discography on Linda Gail Lewis’ official website, ‘Now Dig This’ magazine (particularly issue 283), Clinton Heylin's Van Morrison biography 'Can you feel the silence? 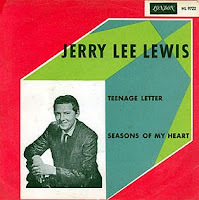 ', The Jerry Lee Lewis Unofficial Fan Forum, & the various Jerry Lee Lewis fan-club magazines over the years. 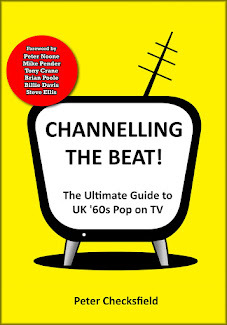 Additional thanks to the following for their reminiscences, research, scans & recordings: Stephen Ackles, Peter Molecz, Gunilla Larsson, Piet Versteijnen, Tony Papard, Martin Bates, Per Kallin, Barrie Gamblin, Tony Houlton, MaryJean Ferguson, Daniel White & Thomas Rund. 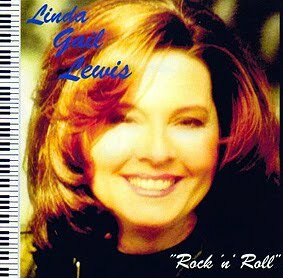 Lastly, this would not be possible without Linda Gail Lewis herself: not only for the music, but for always taking the time to chat to her friends & fans, & answer what are often the most trivial questions about her past. 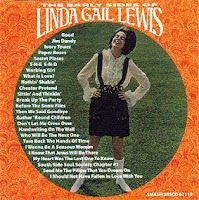 Linda's career has very much been in two parts: 1960 - 1977, & 1986 - now. 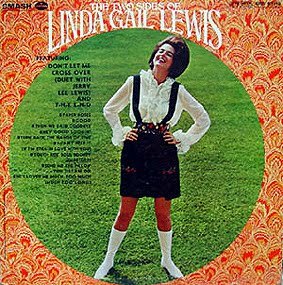 The latter part has been far more interesting (more on that later), but, after an aborted session in 1960, she released a string of singles, two albums (one solo, one with her brother) + various other tracks from 1963 to 1974, & (from 1967 onwards) was often featured as part of Jerry Lee Lewis' concerts, both as a warm-up act & backing vocalist. The first ever release to feature Linda Gail Lewis, a duet with her brother Jerry Lee Lewis on George Jones' 'Seasons Of My Heart'. Linda Gail Lewis(vcl), Jerry Reed (gtr), Harold Bradley (gtr), Bob Moore (bass), Buddy Harman (dms) + unknown (pno) on 12479. Three sides of Linda's debut solo album 'The Two Sides of Linda Gail Lewis': The front & back covers of the most common 'orange' version & the scarcer 'green' front cover. Jerry & Linda's one & only duet album. 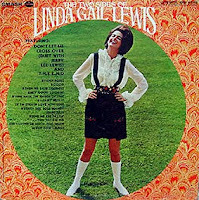 Note the advertisement for 'The Two Sides Of Linda Gail Lewis' which features another variation of the album sleeve, though this was only for advertising purposes & was never actually issued in this form. 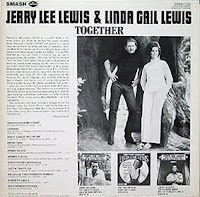 Jerry & Linda's most successful single, reaching number 9 on the Billboard Country Charts in the summer of 1969. Despite the "Smash" label & the superb sound, this 2005 CD appears to be a bootleg. Nevertheless it's the best place to find much of Linda's early solo material. 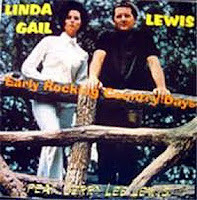 Another bootleg, this includes the few remaining early solo recordings that are missing from 'The Early Sides of Linda Gail Lewis', as well as duets & live TV performances. 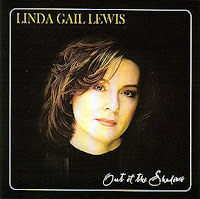 In 1977 (following a European tour with her brother) Linda Gail Lewis decided to retire from public life to concentrate on raising a family; it wasn't until nine years later in the spring of 1986 when she returned, initially to resume touring with her brother. 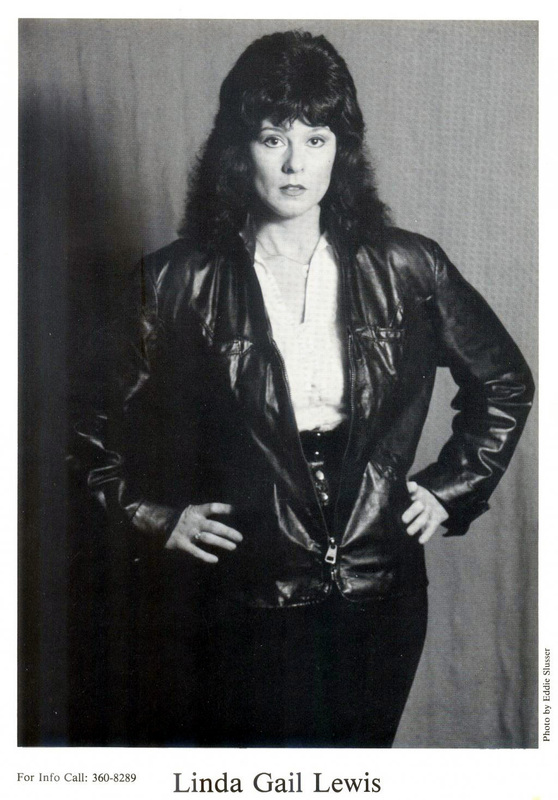 This lasted until the summer of 1987 when she quit due to (alledged) disagreements between her & Jerry's (then) wife Kerrie. 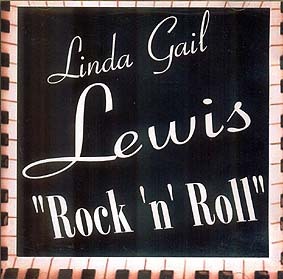 This is when Linda decided to re-invent herself: she'd known how to bang out a few chords on the piano for years (& indeed played piano during her warm-up sets on the 1977 European tour), but now she started learning how to play boogie-inpired rock & roll like her brother, & did so remarkably quickly, as by 1988 she was on the road playing this style, & a couple of years later back in the studio making full-length albums, something she's done with great regularity ever since. This all culminated in a lenthy tour with Shakin' Stevens in 1999, & then a duet album & world tour with Van Morrison in 2000 / 2001, bringing her some of the widest exposure of her career. Sadly the latter partnership ended in acrimony, but she's continued recording & performing in a wide variety of styles, including 50s rock & roll, country, pop, soul, bluegrass, rock & even modern 'dance' music. The 1987 vinyl & 1988 CD editions of 'Live in Italy', which featured her final official recording with Jerry Lee Lewis. Released on 10" vinyl in 1987 & on CD the following year, this featured Linda's first issued studio recording in 13 years. 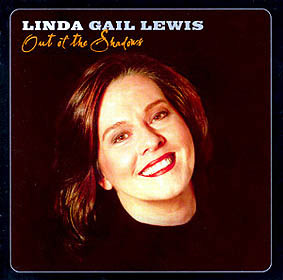 Linda's first album in 22 years & the first to feature her playing piano as well as singing (it was also her final album to be released on vinyl, as well as CD). 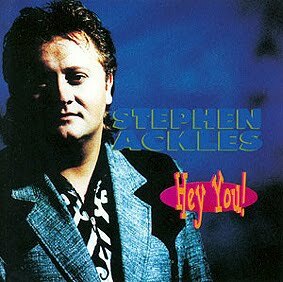 The cassette-only release 'Do You Know' was later issued on CD as 'I'll Take Memphis', but lost 'Travelin' Band' & gained three duets with Stephen Ackles in the process. 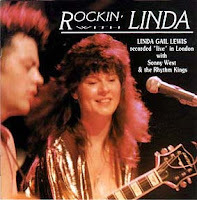 Recorded on her debut U.K. solo tour in 1991, 'Rockin' With Linda' is a good representation of her stage show at the time. A studio album was cut with many of the same musicians a few months later, but this remains unissued. 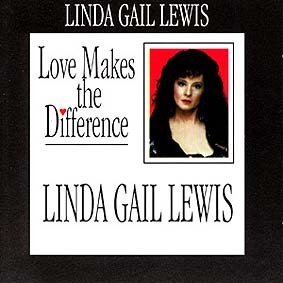 Although recorded during 1992, 'Love Makes A Difference' (a collection of mostly modern country-pop) wasn't released until 1995, her only album release during the years 1993-1998. Stephen Ackles' 'Hey You!' & the Andy Lee Lang albums 'Duets' & 'Together' all feature fine duets with Linda that are exclusive to those releases. 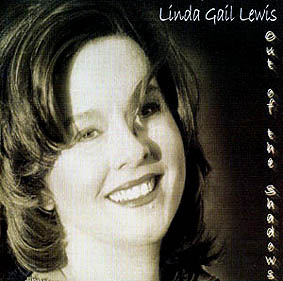 A superb collection of pop, country & modern rock & roll songs, the Stuart Coleman produced 'Linda Gail Lewis' album from 1999 is undoubtedly her finest in my opinion. Many of the songs from this were later reissued as 'bonus' tracks on 'Out Of The Shadows'. 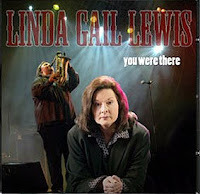 Linda Gail Lewis (vcl, pno), Van Morrison (duet vcl, gtr), Paul Godden (steel gtr), Lee Goodall (sax), The Red Hot Pokers: Ned Edwards (gtr, mandolin), Peter Hurley (bass), Colin Griffin (drums). 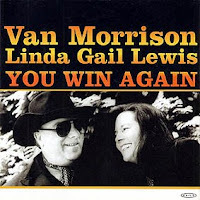 Linda Gail Lewis (vcl, pno), Van Morrison (duet vcl, gtr), The Red Hot Pokers: Ned Edwards (gtr, mandolin), Peter Hurley (bass), Colin Griffin (drums). 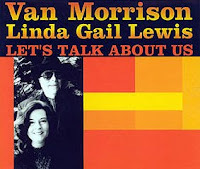 Note: some of these songs were issued by Van Morrison without Linda Gail’s contribution. Linda Gail Lewis (vcl, duet vcl, pno), Van Morrison (vcl,*), The Red Hot Pokers: Ned Edwards (gtr, mandolin), Peter Hurley (bass), Colin Griffin (drums); Candy Dulfer (sax), unknown (horns). Released on bootleg only, this double CD features a FM stereo radio broadcast of a concert in Basel, Switzerland. Three versions of 'Out Of The Shadows': The Irish issue from 2002, the UK issue from 2002 (which was actually issued on two different labels) & the belated U.S. issue from 2004. An interesting hybrid of country & Stax soul, most of these songs were written by Linda & were inspired by her time with Van Morrison. Confusingly, all three releases feature different track lists. 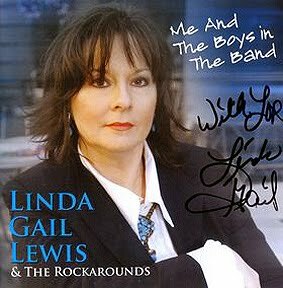 Linda Gail Lewis (vcl, pno), The Firebirds (guitar & vocals Jim Plummer - drums & vocals Jason Bryant - bass & vocals Richie Lorriman) (see NDT 226). 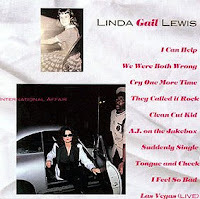 This is probably a bootleg album issued without Linda Gail’s authorisation. 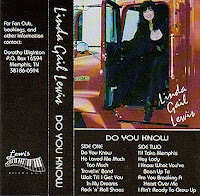 An album that sounds more like studio run-throughs than a finished product, this album was mastered from a DAT tape & released without Linda's permission (when a fan presented her with a copy to autograph a few years back she said "It's a bootleg! I'll sign it, but it's a bootleg!"). 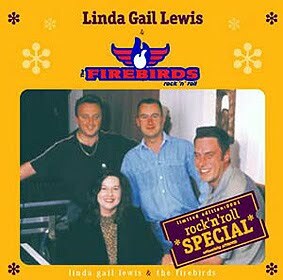 The album also features several songs by The Firebirds that do not feature Linda. Linda Gail Lewis (vcl, pno), Emil Sigfridsson (*overdub duet vcl), other musicians unknown. Another British rock 'n' roll revival group to feature Linda's talents, though this one was issued with her full blessing! She only plays piano on this album though & is not heard vocally. Initially recorded solo with Emil Sigfridsson's vocal added later, this was also issued on the 2004 U.S. edition of 'Out Of The Shadows'. 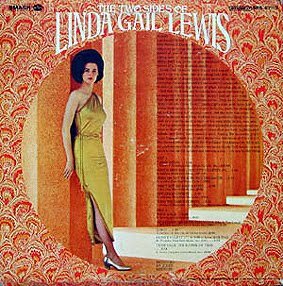 Although one of her finest ever vocal performances, the unissued 'These Are The Days' from the same session is even better. The 2003 Ray Thompson-produced sessions were initially issued as 'Rock 'n' Roll' on Linda's own label, first with a rather plain cover & then with a photo of her on the front. 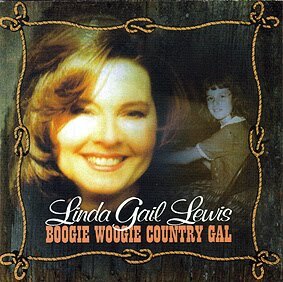 Finally these were reissued as 'Boogie Woogie Country Gal' with the edition of six previously unissued bonus tracks from 1999 that were recorded with her daughters MaryJean & Annie & issued as 'The Lewis 3'. The Rockarounds are a group of musicians featuring members of top Swedish band The Refreshments, who are inspired more by Chuck Berry via Dave Edmunds than Sun legends like Jerry Lee Lewis. Together with British luminaries such Albert Lee & Billy Bremner, the results are sometimes workmanlike but occasionally inspired. The bonus tracks by 'The Lewis 3' tagged onto the 'Boogie Woogie Country Gal' CD raised enough interest for them to record a whole album, resulting in something refreshingly different (Linda didn't even play piano on most songs, & they all featured 3-part harmonies). First of all this was only issued in Denmark, but eventually Castle Music released it in the UK with a new cover & a couple of outtakes from the sessions. Another enjoyable though perhaps slightly samey album of 'modern' rock (& roll) recorded with Swedish & British musicians The Rockarounds. 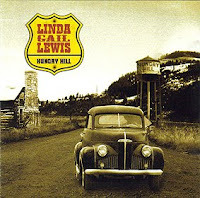 'Hungry Hill' was a return to authentic-sounding '50's styled rock 'n' roll, & was also her first U.S. recorded album since 'Out Of The Shadows'. 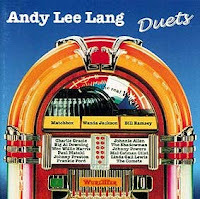 The album includes a couple of duets with daughter Annie Marie, though these are missing from the download-only 'Dazed & Confused' which is otherwise the same album with songs in a different running order. 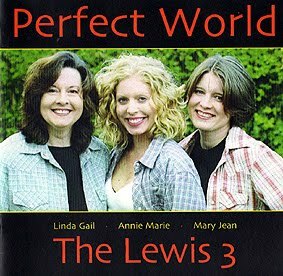 With the continued interest in The Lewis 3's 'Perfect World' it was someone's "inspired" idea to record a Christmas album... Actually the results are more palatable than expected, though perhaps a little too cutesy at times. 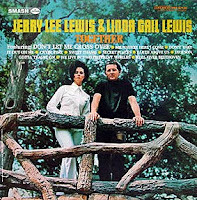 Unfortunately it received minimum promotion though, as by this time MaryJean had made up her mind to concentrate on a solo career (she's since released three fine albums, including one of duets with acclaimed U.K. country singer Jonny Williams that features a certain Peter Checksfield guesting on guitar & bass!). 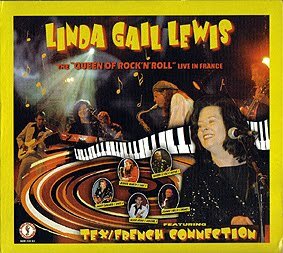 Also released as an official DVD, this is a prettty good representation of her current stage show, though personally I'd much rather she concentrated more on her own songs rather than so many Jerry Lee Lewis-related songs & rock 'n' roll standards. 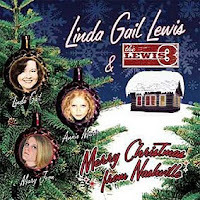 Linda Gail Lewis (vcl, pno), Bob Fish (gtr), others unknown. 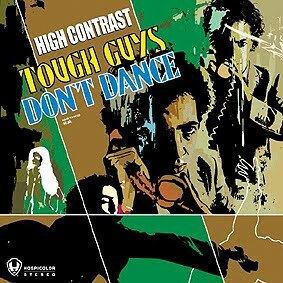 Note: this album is only available as a download. 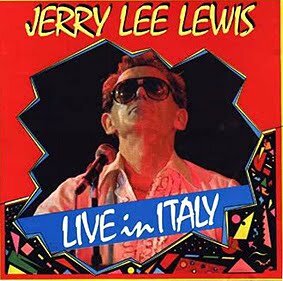 Another live album, though this one is rather mysterious as it's only available as an internet download with the very minimum of information (& check out the mis-spelt title!). 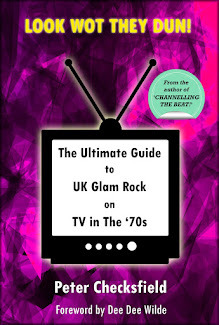 As I got mine from Amazon I assume it's a legitimate release though, & it's certainly no worse than 'Live In France'. 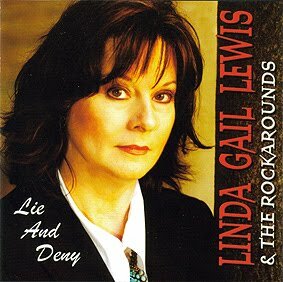 Linda Gail Lewis (vcl, pno), The Rockarounds: Micke Finell (sax, gtr), Tobbe Fall (gtr), Mike Watson (bass), Ingemar Dunker (drums). This was released with almost no publicity (very few fans even in Sweden seem aware of it's existence), which is a shame as it's probably the strongest of her three albums with The Rockarounds. 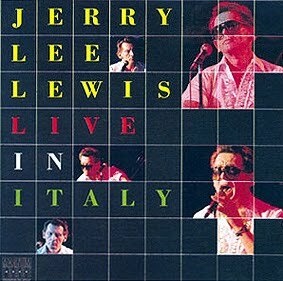 Part studio & part live, the five studio tracks are more than acceptable (despite a couple of self-composed Christmas songs), & the ten live tracks absolutely blow away all her previous live releases both in performance & sound quality. Now, here's something completely different! 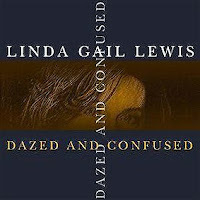 This is a modern 'dance' track featuring a repetitive "sample" of Linda's vocal & piano playing. 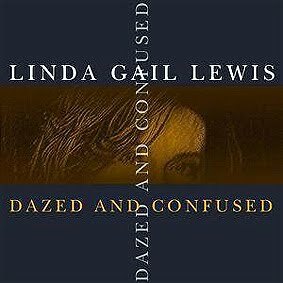 When I first heard it I assumed this had been made without Linda's assistance, so I was even more surprised to learn that she actually went into the studio to record her part. 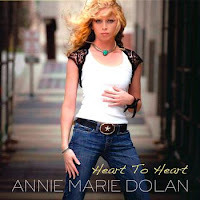 It's unlikely to win her many new fans but full cudos for attempting something so left field. 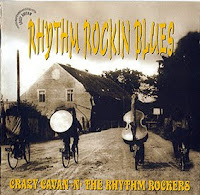 Annie Marie Dolan (vcl), Linda Gail Lewis (pno, backing vcl), Joakim Arnell (bass, acoustic guitar, duet vcl), Jonas Goransson (guitar, mandolin, banjo), Mats Forsberg (drums), Micke Finell (sax). While Linda's oldest daughter MaryJean has been carving a solo career for herself, her other daughter Annie Marie has been doing the same, albeit with Linda's full help both in the studio & on the road. The result is this enjoyable debut, which not only features Linda's last recordings to date but also (bizarrely) what will probably be the final time Chas & Dave record together! 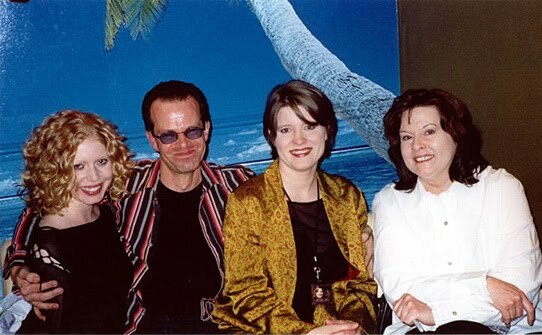 L to R: Annie Marie, Peter Checksfield, MaryJean, Linda Gail Lewis in London, 2004 (photo: Barrie Gamblin)ALBUMS: Part One, 1963 - 1974 Recordings. 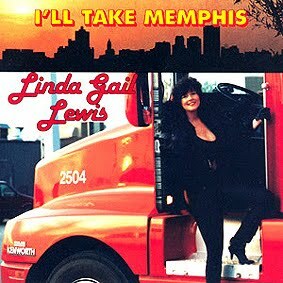 ALBUMS: Part Two, 1987 - 2010 Recordings. Click here for my Linda Gail Lewis DVD list! Excellent job! Very extensive, very complete. fantastic work ;lots of new info there to me ! WOW! This is superb. Best work about Linda Gail's career.. Thank you Pierre! Thank you Peter! You made a terrrific work here!!! Excelent!!! 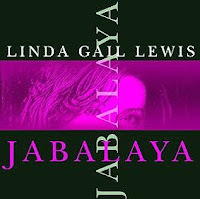 The only online resource for everything about Linga Gail... Thanks for the information! Thank you everyone! CBII, I'll get around to doing an in-depth blog post on your dad one of these days. Great info peter...you should be up for som kind of archivist award before too long !! really a pleasure to read!! 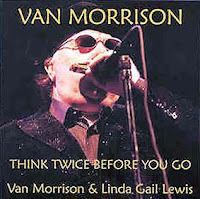 WHERE CAN I BUY "THINK TWICE BEFORE YOU GO"? I've no idea anon. 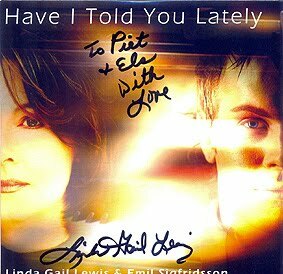 I don't even have this CD myself (though I do have this show + several other Linda Gail TV appearances on DVD). 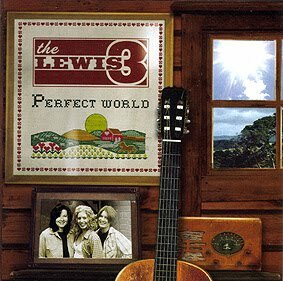 LIVE AT BERGSMANNEN, HOFORS, SWEDEN – 2007 – Producer: Micke Finell? Sorry Ole, I can't help you with this either. 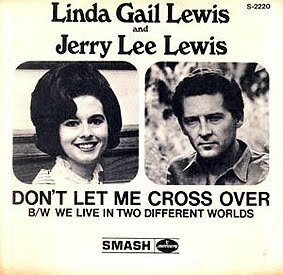 It's a very obscure release that received very little promotion (a friend got my copy for me, via Linda Gail herself I believe). 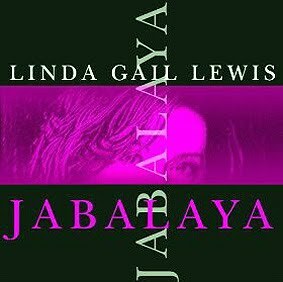 Item #53: the "Jabalaya" album available on download also on iTunes seems to have been recorded in Germany 3 or 4 years ago. Great Job guys! A reference! Moreover, #261 should be written with "Ever" instead of "Never"
Thanks for the corrections / info anon! Thank you (& not just itunes, I bought mine via Amazon!). 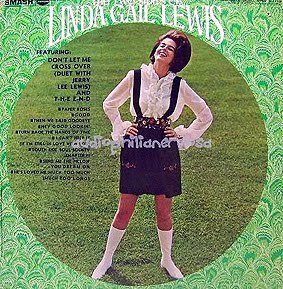 Very comprehensive, although the live "Scottish" CD with The Peas deserves a mention and "You Win Again" was probably her last vinyl release (to date). Was the live CD actually released? I've never seen / heard a copy. thank you so much for getting my two contributions to LGL's discography correct. i brought linda out of retirement with a telephone book and a phone call, and we sang the duet on Oh,Boy! for Patrick Mathe's remarkable New Rose Records(however, my guitar player, Donald Spicer, produced that track). It was a rush. Then some months later, I negotiated a new contract with New Rose, and cut International Affair with the best players in Memphis and for the second time with Doug Easley's guidance and guitar virtuosity, all the while staying at her apt. 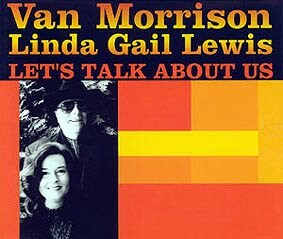 with three kids, an Elvis impersonator husband, and late nights gigging at Hernando's Hideaway till 6AM), which you are quite right in remarking is her first time to record piano--not to mention really cut loose with some raw rock vocals by some of the greatest songwriter legends in the world. 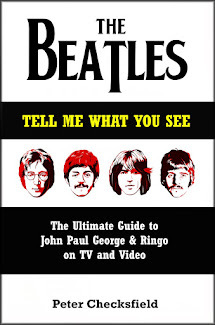 if you have time, read Robert Christgau's review in the Village Voice. 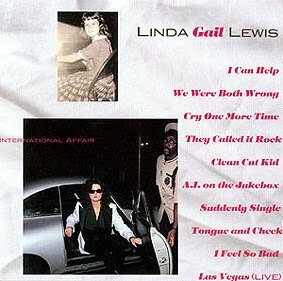 That record and vote of confidence changed her entire career, and even though we no longer speak, i think she secretly likes International Affair the best. this was a lot of work, and i'm happy to see it for the first time in 2018.
p.s. it's also very good to continue to see peter checksfield wherever Lewises may roam.